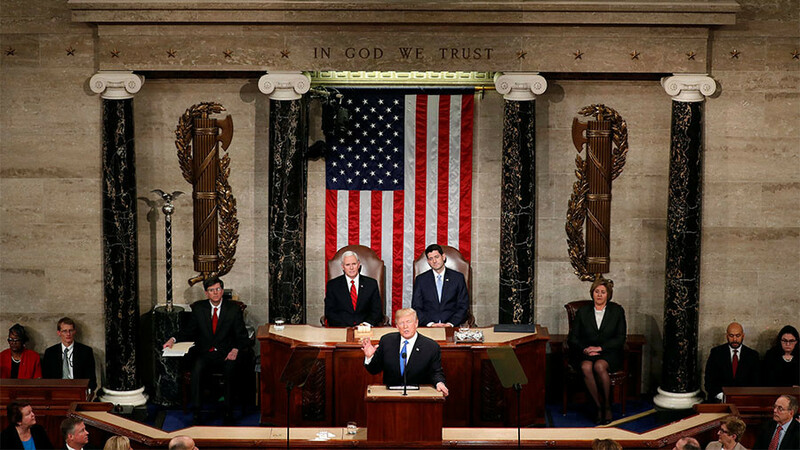 Trump vowed to protect US citizens of “every background, color, religion, and creed” in his first State of the Union, noting that “Americans are Dreamers too.” Social media users accused him of being intentionally divisive. 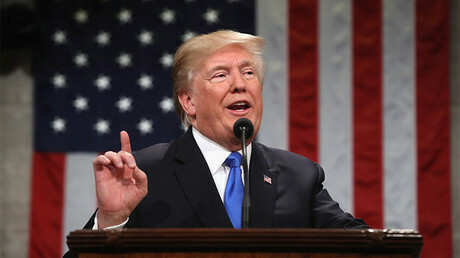 US President Donald Trump said immigrant communities would be helped by immigration policies that focus on the interest of American families and American workers. “Because Americans are dreamers too,” Trump said, as he promoted both a southern border wall and a pathway to citizenship for 1.8 million illegal immigrants, including those covered by and eligible for DACA protection, known as “Dreamers,” who were brought to the US illegally as children. The president added that those who meet education requirements and show good moral character will become full citizens of the US over a 12-year period. “It is time to reform these outdated immigration rules and finally bring our immigration system into the 21st century,” he said. House Minority Leader Nancy Pelosi (D-California) turned the president's words on him, tweeting that Dreamers are Americans too. Despite Trump's proposal to offer them a pathway to citizenship, Democrats have rejected to take a deal that includes limits on legal immigration and funds a border wall. — Nancy Pelosi (@NancyPelosi) 31 января 2018 г. The president's expression that “Americans are dreamers too” either bridged divides or further polarized Americans on the issue, depending on who was listening. "Americans are Dreamers too." This line was intentionally divisive. — Topher Spiro (@TopherSpiro) 31 января 2018 г. “Americans are dreamers too” is why President Trump is so remarkable. It shifts focus from a small group to the whole nation. — Newt Gingrich (@newtgingrich) 31 января 2018 г. The message tonight would be better received if he practiced what he’s preaching tonight about setting “aside our differences.” He won’t get the bipartisan response he’s looking for without some gesture beyond a few prepared words. — Chuck Todd (@chucktodd) 31 января 2018 г. — J. Dice 🎲 (@jdice03) 31 января 2018 г.